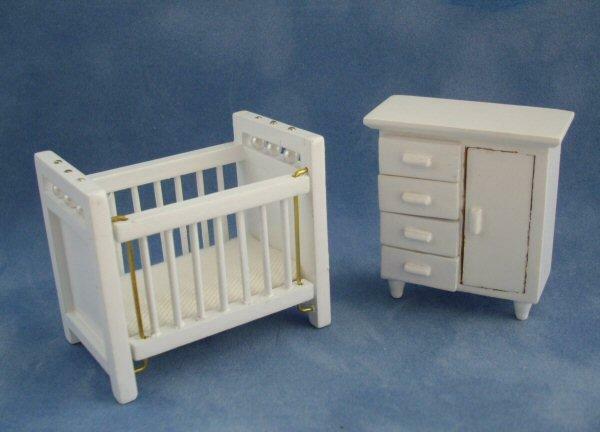 1/24th scale 3 piece nursery furniture set for the dolls house. 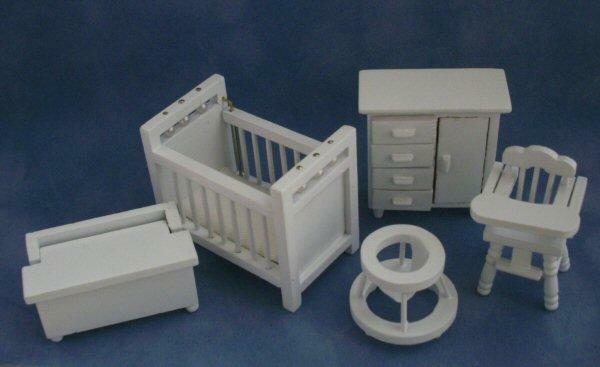 Consists of a cot, highchair, cupboard, chest and a baby walker. All made from wood and painted white.